Q: Could you give some information on the two actors who play Finch and Reese on “Person of Interest”? I don’t recall seeing either of them before, but I like them both and find the show exciting. — Karen V., Roanoke, Va.
A: Michael Emerson and Jim Caviezel play Harold Finch and John Reese, respectively. Many will remember Michael, 57, from “Lost,” where he played Ben. He’s also made the rounds on the cops-and-lawyers shows like “The Practice,” “The X-Files,” “Without a Trace,” “Law and Order: SVU,” etc. 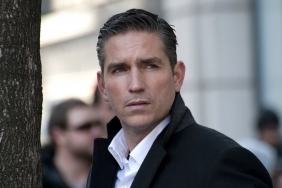 Prior to “Person of Interest,” Jim, 43, was best known for playing Jesus in Mel Gibson’s “The Passion of the Christ.” You can see Jim on the big screen later this year in “Savannah” and “Bliss!” and next year in “The Tomb” with Sylvester Stallone and Arnold Schwarzenegger. A: “Duets” is the latest vocal-competition show to hit the small screen, and it is indeed airing on ABC. Currently looking for contestants (abc.com/casting), this show stars Kelly Clarkson, Jennifer Nettles, Lionel Richie and Robin Thicke, who will travel the country looking for undiscovered talent to be their proteges, as well as duet partners. A: I spoke with “Fairly Legal” co-star Virginia Williams, who plays Lauren Reed on the hit legal drama, and she gave me some spoilers. “We get to see more facets of Lauren this year, which is great,” Virginia said. “We get to see her at home, for example. Everything still revolves around Reed & Reed, but we do see glimpses of Lauren at home: coming back from a jog, going on a date, having some sort of a life outside work. We get to see her with her hair down, literally and figuratively. She’s still quite guarded and protective and exacting and stylish and brilliant, but she’s a lot more comfortable with her position now.